I've witnessed this kind of conversation many times. I've decided it's about time I talk about this heated topic here on my own blog to explain what the whole deal with pricing logos is about. Discussing prices is touchy because people can easily become defensive. It's not my intention to belittle anyone whose budget can only afford them low priced logos, nor to convince anyone that they should buy a more expensive logo. I want you to become aware of what you're buying. I want you to have realistic expectations of what your budget can afford you, so you don't end up disappointed because you didn't get what you wanted. There's a logo for every price point, and there's a good reason why they cost as much as they do. People outside of the design industry who don’t understand the nuances behind logo design are legitimately confused by the prices. Logo prices vary wildly, from 5 dollars to millions of dollars. What’s the deal? How can the same thing cost $5 and $5 million? That’s the point—it’s not the same thing. While this topic is a lot more complex than I can cover in a single article, I’ll simplify things a bit and divide the typical logo ranges in 3 tiers: the low-end ($100-$999), the mid-end ($1.000-$9.999) and high-end ($10.000+). I’ll explain what happens at each of these levels, and why it costs as much as it costs. First things first: What is a logo? A vector graphic, blown up to any size without any loss in quality. Clearly convey meaning even when scaled down to the size of a stamp or an app icon. Unique—there are no other businesses using the same graphic. If a graphic fails one of these checks, it’s not done to professional standards, so it cannot be considered a real logo. Logo design for Wild Moon Spirit. The shapes remain recognizable even when scaled down, or converted to a single color. The reason I’m not even considering Fiverr gigs a part of the legitimate logo design industry is because the results you get from those gigs are not logos. What you typically get are plagiarized graphics placed on a white background (if you’re lucky), which makes them literally useless for any practical purpose. So let’s move on to actual logos. What’s the difference between low, mid and high end logo design services? When I said that $100 logos, $1.000 logos and $10.000 are not the same thing, what I meant is that the process used to get to these logos differs. While the result might appear similar to an untrained eye, the work that went in it is of a different order of magnitude. I’m not even talking about the operating costs here. A legitimate business pays taxes, their own healthcare, bookkeeping fees, expensive professional design tools and equipment. People in the Western Europe, North America and Australia have higher costs of living than those in Eastern Europe, South America, Africa or most Asian countries. All of these conditions factor into the designer’s rates—someone might be able to offer the same level of service for a lower price because their operating costs are lower. (That’s why my services are cheaper than that of an American or British designer of comparable level of skill and experience.) But let’s put that aside for now, because we could be here all day analyzing spreadsheets. Before we get into the process thing, I’d like to point out one other difference that’s rarely discussed in the design circles. The value of the logo is not solely in the designer’s work: it’s in your company’s potential to profit from it. A corporation who will profit in millions every year from a branding project should pay more for a logo than a non-profit or a small family business. Non-profit organizations and local micro-businesses have lower budgets and don’t expect a big return from a re-branding project. Designers often decide to lower their price, or even offer pro bono services in order to meet the needs of their less profitable clients. Businesses who are serious about using design to gain more customers and be perceived as a premium brand are willing to invest more money, because this investment will lead directly to higher profits. Two different companies may pay a different price for what can be considered the same amount of work, and this is not unfair: it’s called value based pricing. If the logo will help you get more customers at a higher price point, this translates into profit. Designers who help you achieve that deserve a piece of that pie. Now that you know the two other factors of logo design prices—operating costs and value based price—let’s circle back to the main topic of this post: the differences in the design process. $100 is the least you can expect to pay for a decent logo, though by First-world standards that’s still cheap. They create 10-20 logos per month. If someone has a second job that’s paying the bills, or is still in the university and their life is funded by parents and student loans, it figures that they won’t value their services as much. They don’t need the money to survive—they can afford to put a ton of work into a project and only get a fraction of what they deserve. If we’re talking about a full-time designer that’s still somehow managing to make a living off of $100 logos or cheaper, you have to wonder: how much effort are they able to put into each one? If you know your logo is just one of half a dozen they’re working on this week, can you be confident in the quality of what you’re getting? When the designer is forced to rush through a project, they have to cut corners. There is no way logo design can be optimized like a factory and be done in a few hours every single time. Creative process doesn’t work that way. Typically, the first thing that suffers is research. Design research is the first step in the logo design process. It’s an essential step, because logos are not created in a vacuum—we need to establish what’s already present on the market, and how to differentiate from your competitors. If we don’t do that, the results will likely be a generic cliché that’s already been seen a thousand times. Asking clients for design direction (favorite colors, fonts, symbols, moodboards etc.). Creating several variations quickly and offering the client to pick their favorite. Refining the chosen option based on client’s input. Sending the final logo and the invoice. This can realistically be done in a few days, so it explains why the price is so low. The question is, do you want to put the symbol that will represent your company for years to come into the hands of a student, designer with a second job, or a designer who is juggling many other projects alongside yours? For $1.000 or more, you can get a pretty good design solution, provided that the designer has plenty of experience and adheres to professional standards. Researching the client and the competition. Setting the design direction (through the use of a design brief and/or a moodboard). Refining concepts with the most potential. Choosing the concept that best communicates the client’s values and brand message. Presenting the logo proposal to the client (with examples of everyday use). Revising the logo based on feedback (optional). Preparing multiple color and composition variations of the logo. You can see there’s a lot more involved in the mid-end design process than it is in the low-end. A single project can take anywhere from 30 to 50 or more hours to complete. The project can last between 2 and 6 weeks, depending on how many projects the designer is working on at a time, and if there’s additional graphics included with the logo. Experienced freelancers in the US and the EU will typically fall into the 4-figure dollar price range, but there are also freelancers charging 5-figure rates. Is a mid-range logo design project in your budget? Then you're in luck, because that's how much my logos cost. Next, at the 5-figure range and beyond, we have branding agencies. The high-end logo design process follows a similar structure as a mid-end one, with one key difference: it involves a team of designers and marketers. The research phase is more thorough. More designers equals more ideas. Design may involve active participation of the client or a customer focus group. Business naming and taglines are often included in the agency brand design package. This type of process can last several months. Large companies with so much at stake wouldn’t dare to rush it because if they don’t let the agency get it right, it might cost them a lot of money. With so many people involved, and all of them giving their focused attention to your project, prices of the agency logo designs practically have no upper limit—they can go up to millions of dollars for big clients like MasterCard, Pepsi and Airbnb. A “deliverable” is an item that you as a client get once the design is finished. The more money you invest, the more deliverables you get to take home. With a low-budget logo, you get a logo. That’s it. Additional graphics (optional, depends on how much you’re paying). 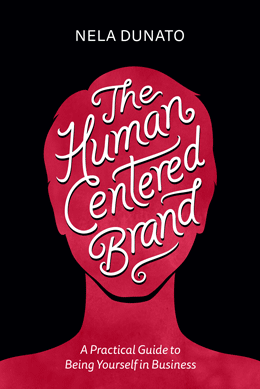 Brand strategy (optional, not all freelancers do this). A comprehensive selection of all the graphics you will need. Optionally, brand name and tagline. I hope this post has clarified why the logo prices vary so much. It’s not that designers are trying to cheat you, it’s that logos are not trivial. I see logos as the most challenging type of design project there is. Not every designer can do logos well—it’s a highly specialized skill. I don’t teach business owners how to design their own logos because honestly, by the time you learn how to do it properly, you spend so much time that simply paying someone else would be faster and easier. There’s no template or “best practice” that guarantees a logo everyone will love. So much can go wrong when an inexperienced designer takes on a logo project (for example, ending up with an unintentionally vulgar logo). The company’s reputation is at stake, because logo is a business tool that wears many hats. If a logo design project turns out unsuccessful, re-branding will invite even more costs. You’ll need to re-design and print all the promo materials over again, like websites, apps, brochures, signage, vehicle graphics, business cards for all employees... The costs just add up, which is why companies avoid re-branding if they can help it. Saving money on a low-cost logo today might mean having to invest more money later to fix what isn’t working. Don’t rush into a logo design project. If you don’t have the budget for what you want right now, save up for it rather than spending money on something you won’t be happy with. And if you choose to stick with a low-priced logo, I support your decision—but please, do your research so you don't get ripped off by a logo designer. If you like my work, you’ll be glad to hear that my logo design services come in two packages. You can start with a smaller package right now, and add other graphics as you need them later on. This is a cashflow-friendly option that many business owners choose when starting out. If you have any questions about the logo design process, contact me and I’ll be happy to answer them—no strings attached. Or, you can ask your question in the comments below. Really, I’m just looking for an excuse to talk about logos because I’m so passionate about them—like you’re passionate about your work. 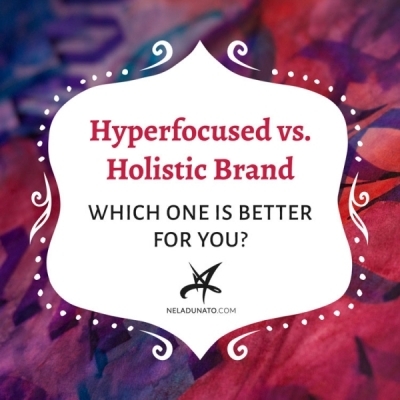 Hyperfocused vs. holistic brand: which one is better for you? Thank you so much for this post. My business is far from the world of design (as are my eyes), so last I hired a brand strategist for my entire website makeover, which was worth all the money and even more. In the beginning when I had zero clients and no products, I did hire someone on fiverr, and I knew it wasn't the smartest solution. I'm so happy I can now afford someone who's so much more professional. I do appreciate you taking the time to educate amateurs like me about the process of design creation. I will definitely be encouraging people to do their research and pay attention to the process of branding, even if they're just starting out. 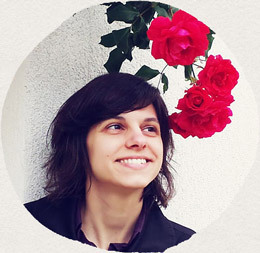 Thank you for your kind words, Elena, and for sharing your story. I'm delighted to hear that you're happy with your decision to hire a pro brand strategist for your new website – and it clearly shows! Great article - and so true (much of it true for any creative type of work). I remember not that many years back when I would charge more the $100 end for a logo - it always took longer than I wanted and yet I feared no-one would pay higher rates. If you look at the diagram in your post, showing 5 stages of logo design - $100 at minimum-ish wage of $20 per hour - that's barely an hour for each step if working at minimum wage. (An extreme example) And that doesn't even account for communication time with the client, taxes, expenses, finding new clients, etc. The way I like to sum it up is that if someone under-values their own services, then they simply don't understand how successful business works - and if that's the case, do you really want to entrust them with your own? And yes, once you do the math, the problem becomes very obvious – there's no time for doing everything that's required in order to make a project a success. I remember the feeling you mention. Every time I consider raising my prices, I fear that nobody would pay that – and then I'm proven otherwise! Smart business owners know that good investments pay off. Very useful posts; love the analogies in each case presented. I think this is a summation of all the conversations we have had over the years on pricing logo design. If you have read, or listen to, many designer interviews—including honest conversation between designers on podcasts like the Futur, Logo Geek, The Side Hustle Project, Design Life, Masters of Scale, The NTMY Show, The Design of Business-The Business of Design, Side Gig, The Honest Designers Show, etc—where designers were asked whether they have a fixed price rate or they go with a client's budget when giving a logo design price quotation, you will often see the pictures Nela captures here more vividly and resonating. Looking at the scenarios from Fiverr's single digit ($5) price quote to the part-time designers' double digits price quote ($100); and from professional freelancers/design studios' four digits ($1,000) price quote to a design agencies' five or six digits ($10,000 or $100,000) price quote all make a perfect sense as Nela clarifies here. That said, some one-man design studios (like David Airey, Aaron James Draplin, etc.) can charge between $1,000 and $50,000 or even more. Why? Yes, the value of those designers and price on their names over the years is a factor. thank you very much for sharing this post with your audience, and for offering your perspective. I appreciate it a lot! Great article! Unfortunately, 99 percent of small businesses are run by ignorant people who are too poor to really have a business. I gave up explaining the difference in costs a long time ago, and so thankful for Fiverr sucking up all the lowballers I don't have to mess with anymore. 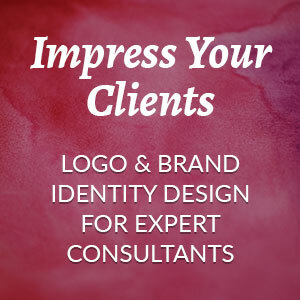 Very few businesses need a logo--they need to learn how to run their dang biz FIRST! Thank you Tedly, and I wholeheartedly agree with your comment! Great designers shouldn't be afraid of Fiverr – they just need to focus on finding the clients who are willing and able to invest in their business. Thank you so much for taking the time to write this very informative article! I have this discussion with clients so often, as people do not understand why they can't "just go somewhere like 'Fiverr' to get what they need done!" The research and examples you provided are fantastic and super helpful. As a fellow designer, I sincerely appreciate your willingness to share and pray many continued blessings in your business endeavors. For jobs where I might be able to utilize your services, personally, I certainly look forward to the opportunity to collaborate with you on projects in the near future. I'm so glad you've enjoyed this article. Sure, I'd be happy to talk to you about a possible collaboration in the future. 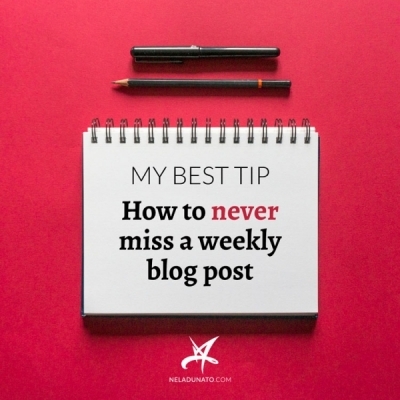 This is a great post! Just what I have been looking for. I’ve been struggling s lot with a logo design and I just don’t think I’ve gotten nearly enough time to work on it and your post justified that. Thank you! Thank you, Bethany! I'm glad this was helpful in your decision process. This information is exactly what I was looking for to describe what my boutique business has become. I'm forever grateful! Thank you!